Well thank you. I do try my best! 1. The crop was developed here because it simply loves wool waste as a slow release fertiliser – no limit to the supply of that way back in the nineteenth century. But in those days there was a longer season for field grown rhubarb as well and In autumn back in the fifties and even early sixties the fields between Wakefield and Mirfield used to be multicoloured in the autumn with a mixture of wool cleanings and shoddy waste. I also read that there was something to do with the ash in the soil too, and also about the rhubarb train that went to London, but I didn’t want to waffle too much. I actually knew that it was Pontefract that grew the liquorice, but Pontefract is in Wakefield isn’t it? At last in the Borough of Wakefield…? Well done for finding uncaged hens eggs. Remarkably, I found a free range goose eggs at my local farmers’ market. I shall be having it for breakfast! yes, but that’s only since they invented the Borough of Wakefield – ask the people in Pontefract if they live in Wakefield. I think you’d get a pretty dusty answer. All that messing around with boundaries really messes up our identities. And there are many kind of Food in England, what do u think about the famous one, what is the most famous food in England ???? That is a tricky one… probably the most famous are fish and chips or roast beef and Yorkshire pudding, neither of which I have written a post on yet… I’ll have to address that issue…. Well, you learn something new every day! 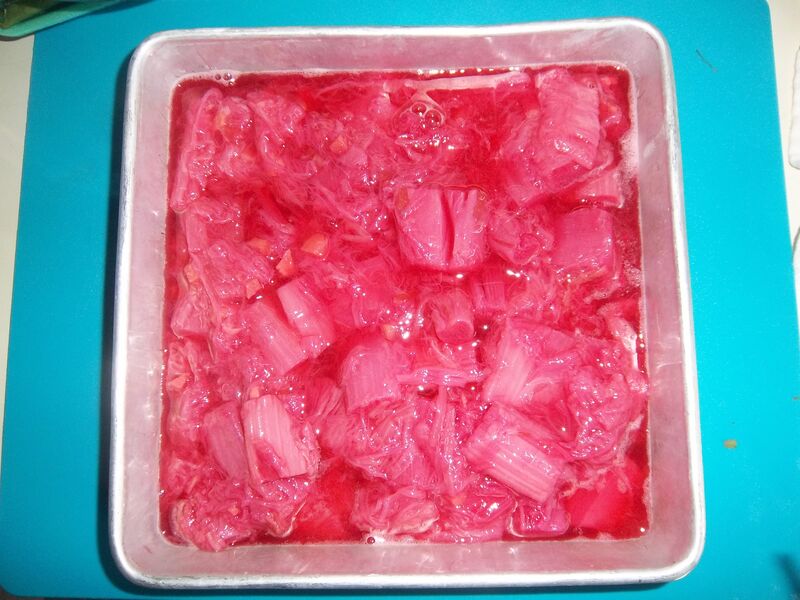 Thanks for all the rhubarb info… I had no idea you could force it that way. 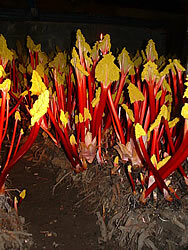 Crazy to imagine the sounds of fast-growing rhubarb… Seems to grow so fast in my garden anyway. And thanks for your cobbler recipe. I’m always looking for new ideas to use up our abundant crop! Thanks for the comments! 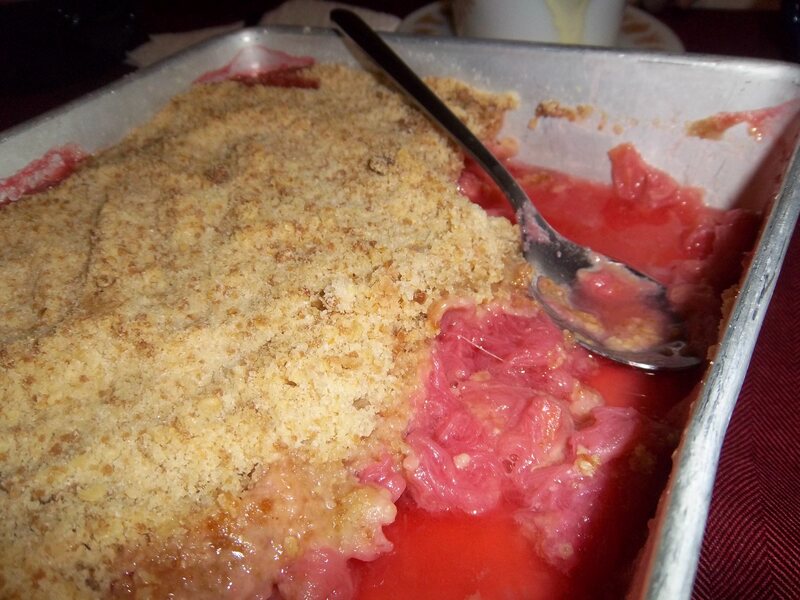 I’ll hopoefully be adding more rhubarb recipes. I have a good one for a chuney that’s pretty good….